This past week I had an opportunity to meet with my Jesuit brothers at the Jesuit School of Theology in Berkeley. Sitting in a room with 17 men who are about to be ordained priests, I couldn’t help but reminisce on my own experience 30 years ago, when I was waiting to be ordained. These men have spent many years working towards this moment, an achievement that is just as memorable as it is sacred. May God bless them! I also administered Confirmation for a group of students at St. Patrick’s church last week, a celebration I always enjoy. While I was there, I was blessed to meet a young man named Jesus Rojas. Jesus is currently battling leukemia; yet his spirit is so alive. Jesus is such a courageous boy, a warm, loving child who demonstrates all that God wants us to be. God is with him, as he is with us always. I pray the gift of the Holy Spirit will help heal him and carry his family through this difficult time. I have been also requesting prayers for him, so I would really appreciate if you can join me in praying for Jesus. On Friday, April 24, we had a National Congress on Divine Mercy at the Cathedral. It was a beautiful devotion arranged by Father Carl Arcosa, with help from the Marians of the Immaculate Order from the National Shrine of Divine Mercy in Stockbridge, Mass. It was a delight to work with everyone and be a part of such a wonderful event! The following Sunday I went to St. Margaret Mary parish to celebrate the 10th Anniversary of the Institute of Christ the King Sovereign Priest. This new order has been serving the Extraordinary Form Latin Mass community of our diocese very faithfully these past 10 years. It was a joyful celebration, and a very well prepared and reverent liturgy. Moreover, the community was vibrant and full of life, and I was very happy to see people from all ages there. I enjoy going around meeting parishioners, speaking and answering questions about the work of our diocese at Capital Campaign receptions. I love events like these; being able to connect and engage with the public is one of the many benefits I find in my work. This last week I went to St. Mary’s in Walnut Creek, Our Lady of Good Counsel in San Leandro, and St. Joseph the Worker in Berkeley. 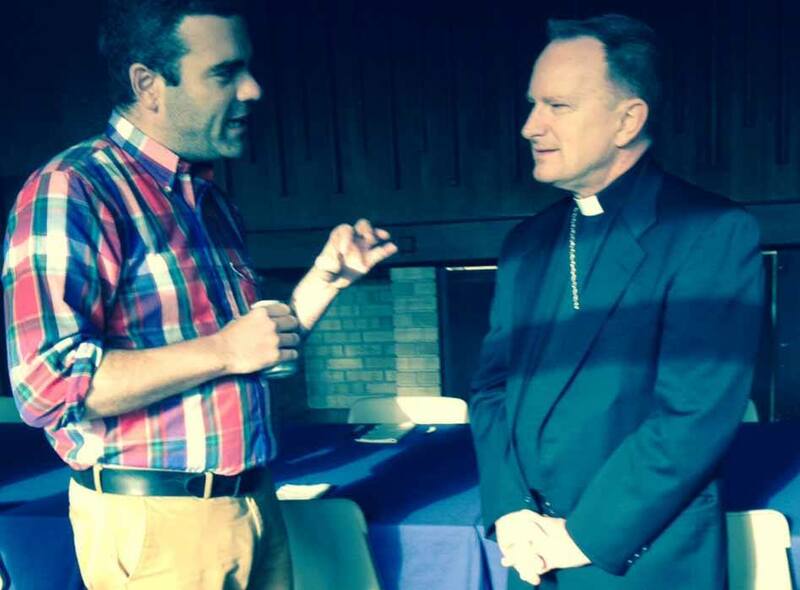 It is always such a pleasure to meet members of the community and hear about their experiences in the church. This week, I also had an opportunity to welcome Bishop Luke Kim Woon Hoe, Bishop of Chuncheon, South Korea, for a courtesy visit last weekend. The bishop was in town to administer the sacrament of Confirmation to our two Korean Catholic parishes. 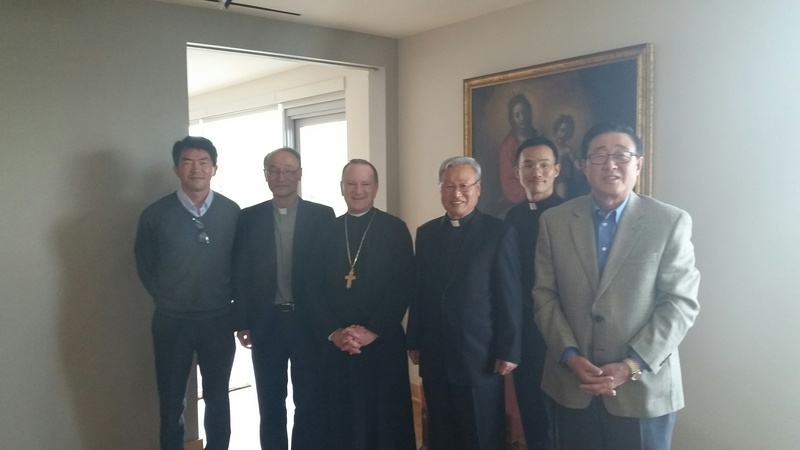 We are blessed to have not only one, but two vibrant and growing Korean parishes in our diocese. As you probably remember, their choir was our special featured guest during our Chrism Mass in March, and they rendered an outstanding performance. May the Lord continue blessing you and your loved ones. Please keep me in your prayers.